Job well done, and now the lights go out. Another satellite is decommissioned, but this one had a unique vantage point as it was attached to the International Space Station. NASA’s International Space Station Rapid Scatterometer (ISS-RapidScat) Earth science instrument has ended operations following a successful two-year mission aboard the space station. The mission launched September 21, 2014, and had recently passed its original decommissioning date. The agencies that routinely used ISS-RapidScat's data for forecasting and monitoring operations include the National Oceanic and Atmospheric Administration (NOAA) and the US Navy, along with European and Indian weather agencies. It provided more complete coverage of wind patterns far out to sea that could build into dangerous storms. Even if these storms never reach land, they can bring devastating wave impacts to coastal areas far away. 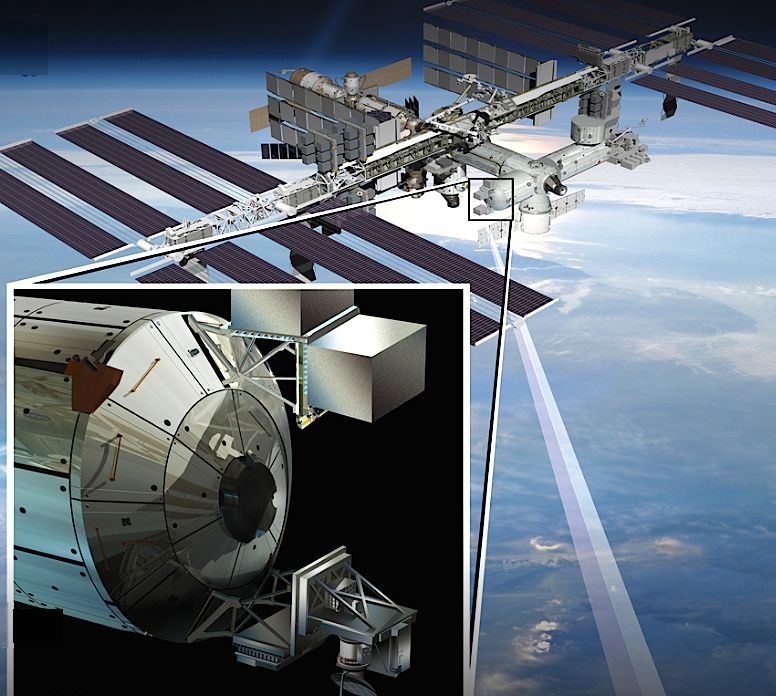 ISS-RapidScat was born out of ingenuity, expertise and a need for speed. It was constructed in less than two years to replace its widely valued predecessor, NASA's decade-old QuikScat scatterometer satellite, at a fraction of the cost of the original—largely by adapting spare parts from QuikScat. On August 19, a power distribution unit for the space station’s Columbus module failed, resulting in a power loss to ISS-RapidScat. Later that day, as the mission operations team from NASA's Jet Propulsion Laboratory (JPL) in Pasadena, California, attempted to reactivate the instrument, one of the outlets on the power distribution unit experienced an electrical overload. In the following weeks, multiple attempts to restore ISS-RapidScat to normal operations were not successful, including a final attempt on October 17. ISS-RapidScat was the first continuous Earth-observing instrument specifically designed and developed to operate on the International Space Station exterior, but it’s no longer the only one. The Cloud-Aerosol Transport System (CATS) joined the space station in January 2015 to provide cost-effective measurements of atmospheric aerosols and clouds in Earth's atmosphere. Two more instruments are scheduled to launch to the space station in 2017—one that will allow scientists to monitor the ozone layer’s gradually improving health, and another to observe lightning over Earth's tropics and mid-latitudes. Following that, two additional Earth science instruments are scheduled for launch in 2018 and 2019. ISS-RapidScat was a partnership between JPL and the International Space Station Program Office at NASA’s Johnson Space Center in Houston, with support from the Earth Science Division of NASA's Science Mission Directorate in Washington. Other mission partners include the agency’s Kennedy Space Center in Florida and its Marshall Space Flight Center in Huntsville, Alabama; the European Space Agency; and SpaceX.